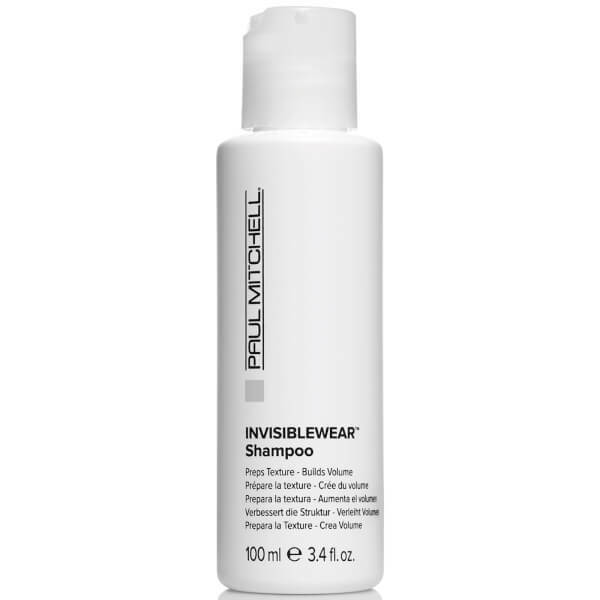 Treat dull, lifeless locks to the Paul Mitchell Invisiblewear™ Shampoo; a multi-beneficial formula that cleanses, softens and delivers texture to hair. Infused with Velvet Flower, the luxurious shampoo effectively eliminates impurities, whilst improving manageability and leaving hair with an effortless, undone look. 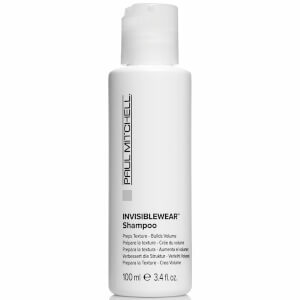 Adds flexible volume and definition to lack-lustre locks for a relaxed, tousled finish. Apply to wet hair, work into a lather and rinse. Aqua (Water, Eau), Sodium Laureth Sulfate, Sodium Chloride, Glycerin, Cocamide MIPA, Hydrolyzed Amaranth Protein, Salix Nigra (Willow) Bark Extract, Panthenol, Cocamidopropyl Betaine, Tetrasodium EDTA, Polyquaternium-10, Trimethylsiloxyamodimethicone, Polyquaternium-7, C11-15 Pareth-7, C12-16 Pareth-9, Trideceth-12, Citric Acid, Benzyl Alcohol, Methylisothiazolinone, Methylchloroisothiazolinone, Magnesium Chloride, Magnesium Nitrate, Parfum (Fragrance), Hexyl Cinnamal, Limonene, Linalool.